Let this be the year your dreams come true. Party like it's 1999 with this bold Red Year Flyer, big enough to fit all your event details! 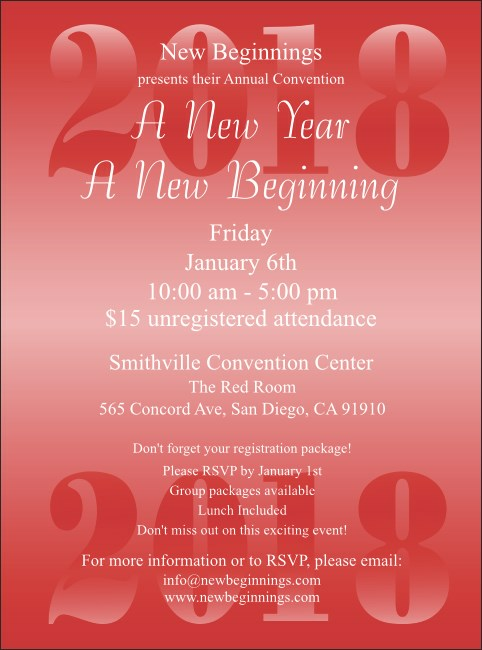 With white text and year background this flyer template will fit the bill for any holiday, graduation, or annual party. Buy the matching Event Kit for just the right look. Get your advertising done with TicketPrinting.com!